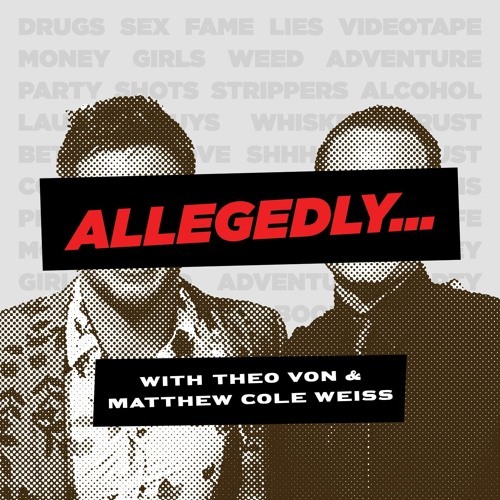 He may play Rachel McAdams's boy toy on True Detective, but Hollywood stud Riley Smith is the one to get interrogated in this premiere episode of Allegedly with Theo Von and Matthew Cole Weiss. The never aging star talks getting high with Woody Harrelson, the famous actress who tried to get his number, and what it's like to be eskimo brothers with one of the hosts (you'll never guess which one). In the end, Smith has to pick which host won the podcast, though with embarrassing stories involving Kirk Douglas and Ice Cube, he sure has his work cut out for him.